PV’d Diploma Program covers learning how to use your equipment, taking more creative photos, and learning how to make a living. It’s a long process and involves learning and practice. For practice we get assignments. Over these past months I have taken photos of (including but not limited to) potatoes, buildings, go-karts, scrap yards, nature, water bottles, my pets, and teacher's pets. Yes, you read that right I said potatoes. There is a reason for each and every project and assignment we get. One of the reasons is to help develop our portfolio. There is a theory that you have to spend 10,000 hours at something to become a master at it. Some of my classmates and I have taken over 10,000 photos. We have done dozens of assignments. These are my top three favourites and why I liked them so much. The Spud: This project was a hard one. 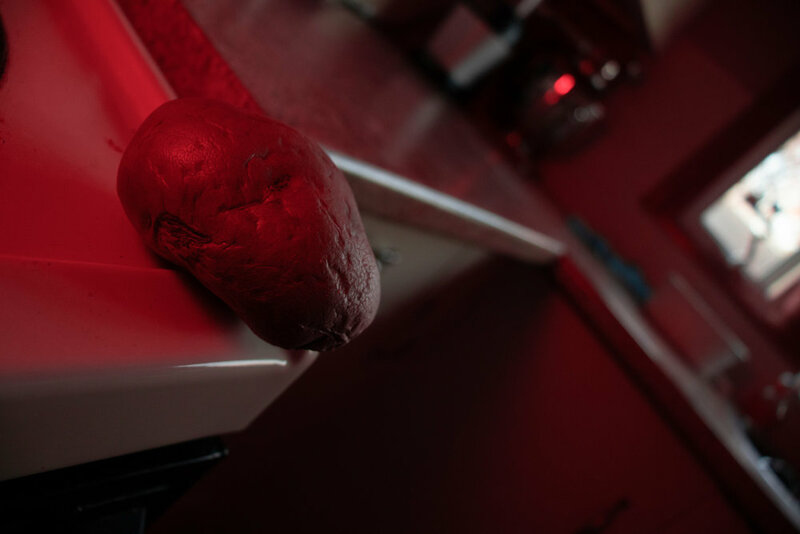 The goal was to take a plain old potato and then photograph it differently to portray different emotions: happy, sad, scared, angry, and romantic etc. The catch was you could not move the potato to introduce objects into the frame. That meant no knives allowed to create a ‘scared’ potato. The result was me talking to a potato in my kitchen for an hour while I took photos of it at 101 different angles. I basically had full-on conversation with my spud. Part of the requirements of being a photographer is to look at things differently. The spud project really forces you to do just that. Who knew a potato could be so romantic? Go-karts: Our first field trip was to Grand Prix go-karts track just outside the city. The only thing more fun than taking pictures of the go-karts was actually driving them. Imagine a dozen students on foot with tripods and cameras trying to catch images of their peers as they whip around the track. That was us. It was a cold and muddy day and I couldn’t have been happier. Pictures are moments captured in time. Photographs don’t move (...yet) but people and objects do. It was great practice techniques like panning, stopping motion, and motion blur with moving subjects. Night photography: The Winnipeg city skyline is stunning; even more so when the stars come out. I love shooting at night. Before I started at PV I had no clue how to capture the night. The best low light photos I ever got were grainy, blurry, yellow, smartphone photos. With luck one or two photos actually turned out. Happy accidents are great in photography. I love it when they happen. However, you can’t rely on those forever. Our director (Craig Koshyk) is always telling us that opportunity knocks so you better set up as many doors as possible. PV taught me about long exposures which turned my world upside down. I was getting a lot more happy accidents and having constantly better shoots.